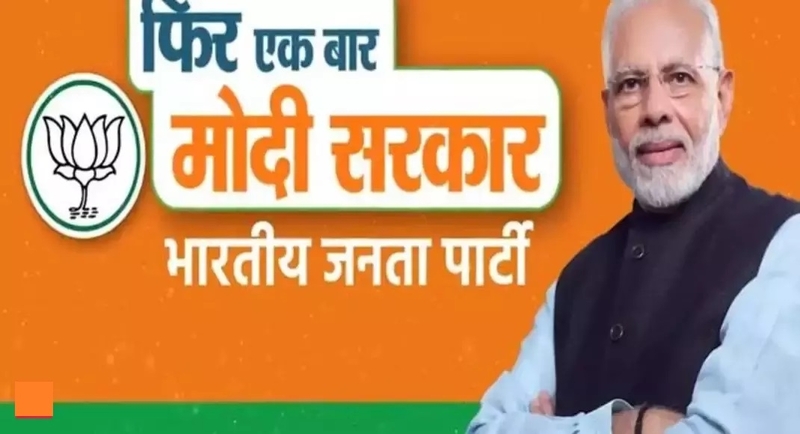 THE Bharatiya Janata Party (BJP) on Sunday unveiled its campaign logo, tagline and theme song for the upcoming Lok Sabha polls with the slogan ‘Phir Ek Baar Modi Sarkar’ (Modi once more) to seek a second consecutive term for Prime Minister Narendra Modi. “The first theme of our campaign will be ‘Kaam Karne Waali Sarkaar’ (A Government that works). Our second theme will be ‘Imaandar Sarkaar’ (Honest Government). Our third theme will be ‘Bade Faisle Lene Waali Sarkaar’ (A decisive Government that takes big decisions),” Finance Minister Arun Jaitley said adding that these sub-themes would combine the larger theme of ‘Modi once more’. Unveiling the campaign materials, he said the party’s campaign themes will talk about honest governance, ability to take major decisions, women empowerment and other welfare measures undertaken by the NDA Government in the past five years. This come hours after Congress unveiled its campaign slogan ‘Ab Hoga Nyay’. Jaitley said the campaign materials will also highlight the BJP’s commitment to the poor, middle class and new middle class and alleged that the Congress’s manifesto does not refer to these groups. He also said that the campaign would also dwell on the need for a decisive, full majority Government. “The country wants a strong leader. We want a Government with one captain and not a team of 11 members with 40 captains,” he said in an apparent dig at the Opposition alliance against the BJP in the many States including Uttar Pradesh, Bihar, Tamil Nadu and others.